House and Senate negotiators have narrowed their differences over a bill allowing two coal-fired power plants in southwest Kansas. The three senators and three House members had their second day of talks yesterday. They’re trying to reconcile different versions of the bill passed by the House and Senate. Those versions agree on provisions that overturn an October 2007 decision by Gov. Kathleen Sebelius’ administration to deny an air-quality permit to Sunflower Electric Power Corp. 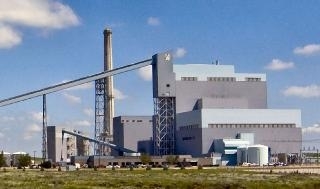 The Hays utility wants to build the two coal-fired plants outside Holcomb.The two chambers also agree on provisions restricting the Kansas secretary of health and environment’s power to regulate greenhouse gases. Sebelius is expected to veto the final product, just as she vetoed three similar bills last year.